Grand Opening: Let the celebration begin! Join us for a multi-day Grand Opening celebration of the highly anticipated Bourse Food Hall! 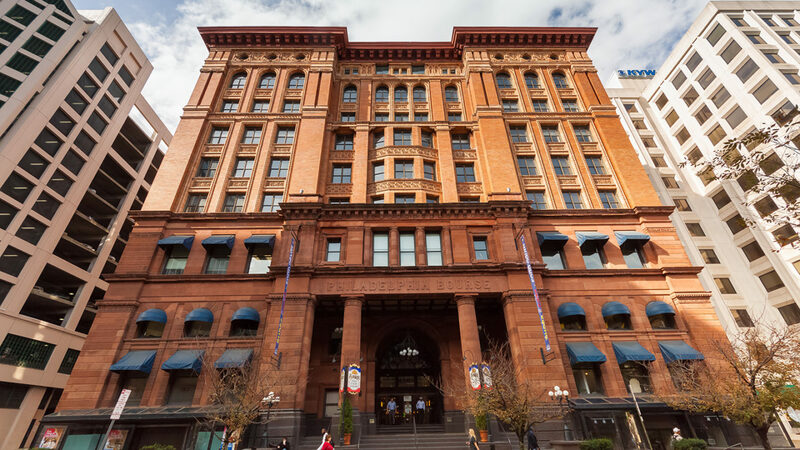 The original commodities exchange since 1895 has been transformed into an artisanal market with 28 vendors to eat, drink, and shop from. Whether you are in the mood for freshly made pasta from The Bronze Table or Indian street food from Chaat and Chai, you will be sure to find a vendor that feed your cravings! On Thursday, November 15th, we are kicking off the day with an official ribbon cutting from Philadelphia Mayor, Jim Kenney at 9:00am. While watching the ceremony, grab a spot in line as the first 100 people will win complimentary breakfast. Giveaways for the first 100 people will begin again at 12:00 pm and 5:00 pm for special “A Taste of The Bourse” gift bags, gift cards, and special treats from our vendors. BUT that’s not all! Attendees of the two-day celebration can enter to win a pair of tickets to watch the Philadelphia Flyers or the Philadelphia 76ers. Thursday’s winner will be announced during our Old City Happy Hour Thursday evening with live entertainment from Challenge Accepted. The celebration continues all day Friday, November 16th for The Bourse Bonanza! Every hour on the hour will include secret pop up performances from some of your Philly favorites! (Hint: Fly Eagles Fly!) Make sure to stop by for another chance to win tickets to see the Philadelphia Flyers or Philadelphia 76ers and other giveaways. You don’t want to miss out on celebrating the restoration of The Bourse. We are so excited to finally open the doors for you to enjoy!